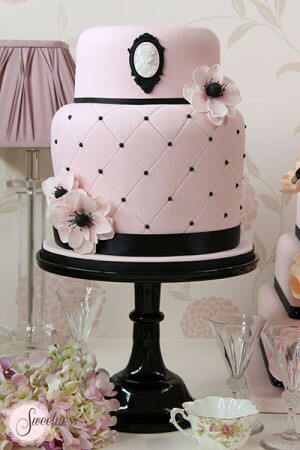 Mini Cakes are always a beautiful addition to your wedding cake. 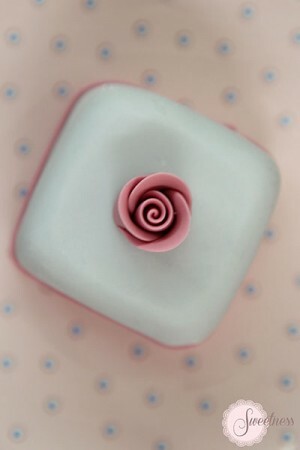 They can be designed to complement your cutting cake and make sweet, individual treats for your guests. 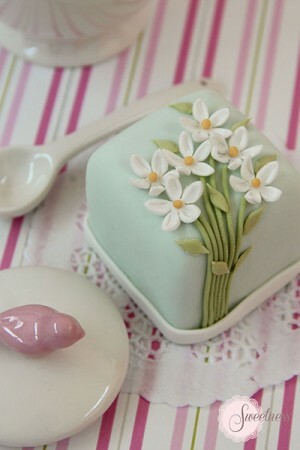 Mini cakes can vary in size, some are large enough to be split into 2 people. They can also be individually packaged as a lovely favour for your guests. One of the benefits of having mini cakes is that you are spoilt for choice when it comes to flavours as you are less limited with the flavours you can choose when you opt for a tiered wedding cake. At Sweetness we can create bespoke mini cakes for your special occasion be it a wedding, baby shower, anniversary or birthday. 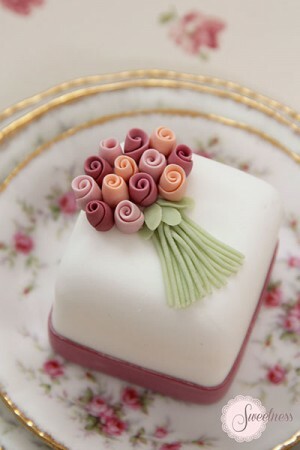 Please get in touch if you would like to commission mini cakes from us to make your celebration extra special! If you’re looking for a ‘Pretty in Pink’ statement for your wedding day look no further than a bespoke pink wedding cake for the ultimate in pink glamour. 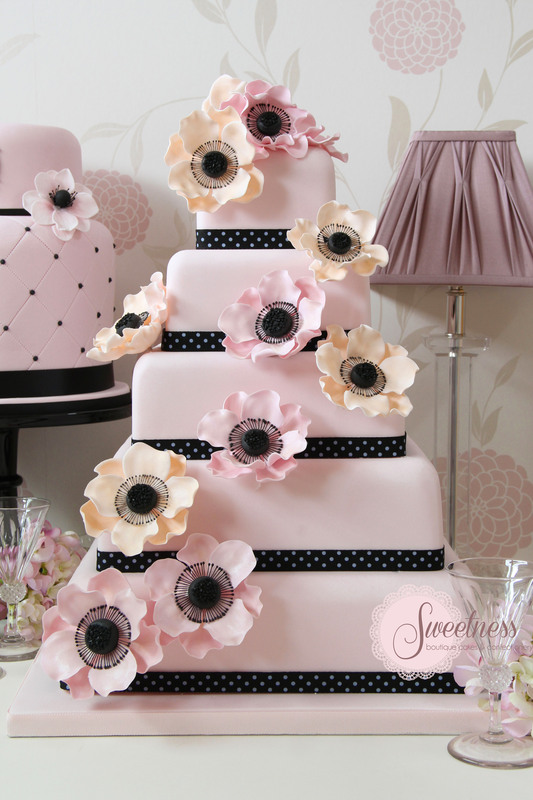 Pink wedding cakes can fit into any theme and can be combined with different colours for a vintage, contemporary or bold look. 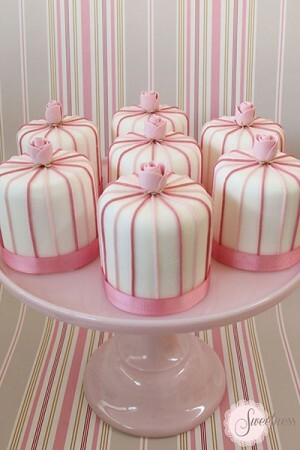 You can always pair your pink wedding cake with pink wedding cupcakes or mini cakes. 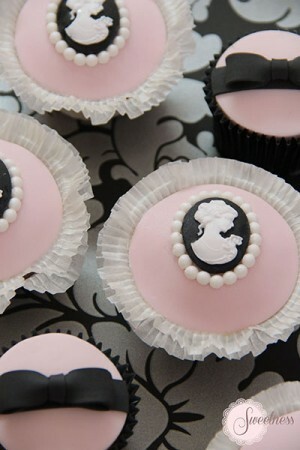 Our Marie Antoinette cupcakes above are the perfect example of pink cupcake glamour. Welcoming a new baby in the world is always exciting for every new parent and baby showers are becoming more and more popular. 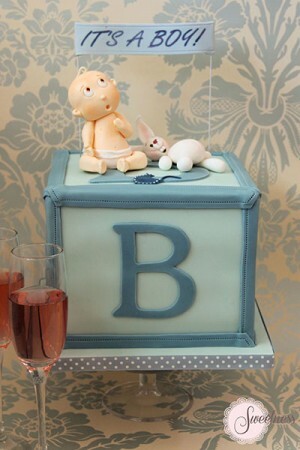 At Sweetness we can create any number of baby shower cakes and baby shower cupcakes in London and Greater London. 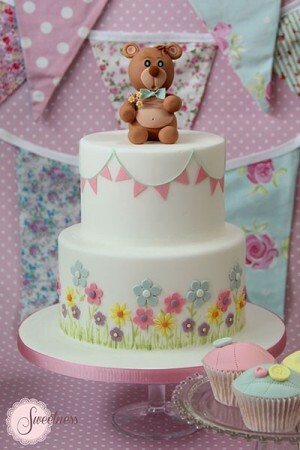 You can have a baby shower cake created specifically for your baby shower theme or you can choose one of the designs from our portfolio. We believe that the celebration of your new family deserves something special and we will work with you to create something special for your celebration. 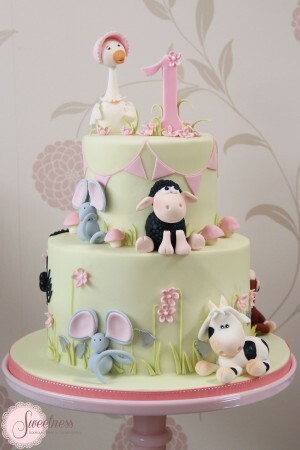 If you are interested in commissioning a baby shower cake from Sweetness please feel free to contact us.